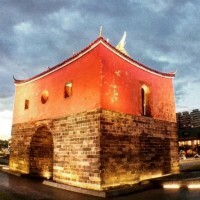 Taipei (Taiwan News) — Cutting through Datong District is one of Taipei’s historic neighborhoods, Dihua Street offers visitors a glimpse of mid-19th century Taipei as well as the city’s thriving artistic side. 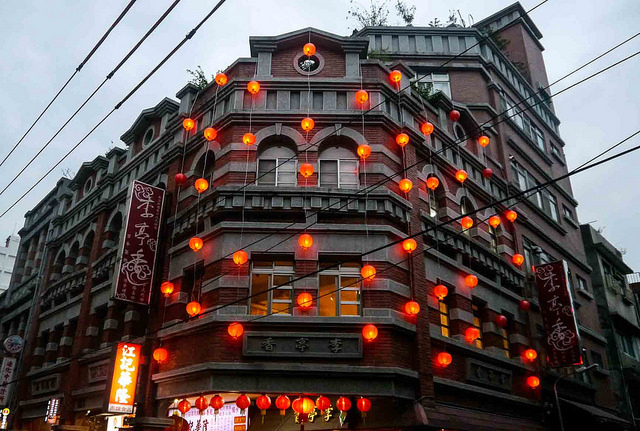 Running between Nanjing West Road and Minquan West Road, the street is known as being the heart of Dadaocheng, the oldest still-surviving neighborhood in Taipei, and for its traditional medicinal tea, sundries, and fabric and tailor shops. But there is still more to explore along Dihua Street with its historic architecture, art galleries and contemporary craft shops. The government began promoting the redevelopment of the neighborhood in 1984, but there has been more progress in renovating over the last several years with new businesses moving in, particularly on the northern section of the street. 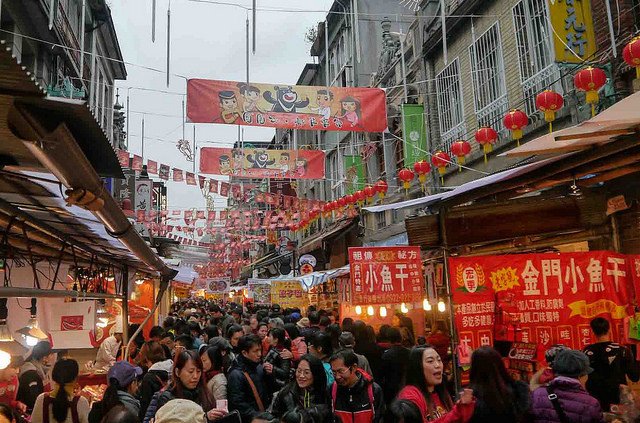 Of course, during the run up to Chinese New Year, even more visitors than usual flock to the area for the New Year Market, which shuts the street to vehicle traffic between Guisui Street and Nanjing West Road. 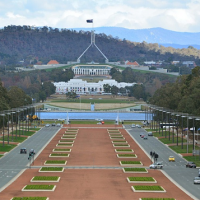 The market attracts nearly 1 million visitors each year, according to government estimates. 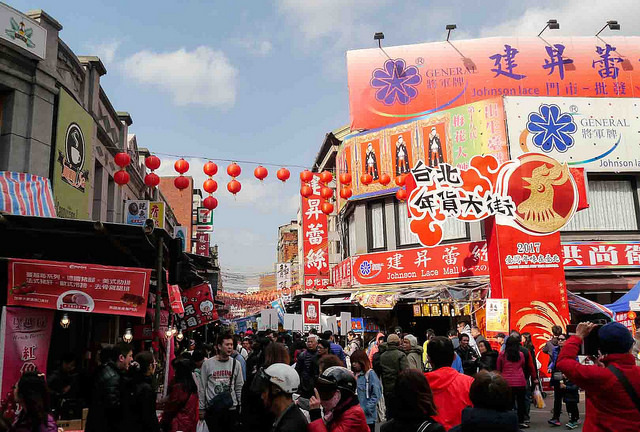 This year Taipei launched free tours of Dihua Street and the New Year Market—one each in English, Japanese and Korean—that attracted a total of 150 people (the limit for each tour was set at 50). With vendors setting up shop in the street, the road is narrower for the large crowds perusing the goods that include street food, dried meats and produce, and new year decorations. If you’d prefer to avoid the crowd of the New Year Market, there’s always plenty to see and do along Dihua Street year-round. Start your journey through the history of Taiwan with a glimpse at the shops offering local sundries, including local nuts and dried fruits and vegetables. Depending on the shop and variety of products, some of the dried produce are made with little-to-no sugar and salt. These shops also offer customers free samples, so you can more easily decide what to purchase. There are also numerous medicinal tea shops. 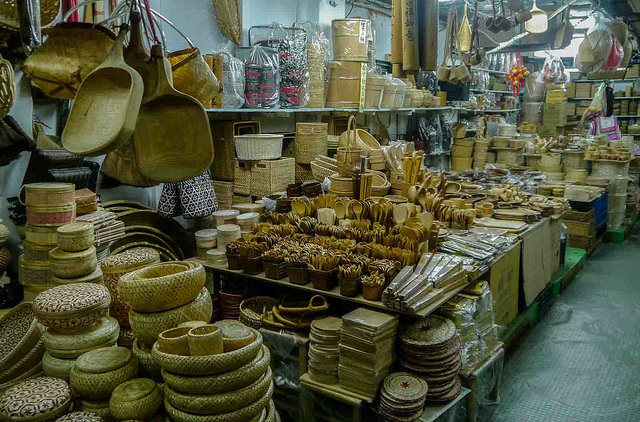 While some customers might not welcome the sight of dried shark and whale fin in the shops, the products have been a part of Dihua Street since the late 1800s. These shops also offer daily remedies such as ginseng, bird’s nest and dried wood-ear mushrooms. 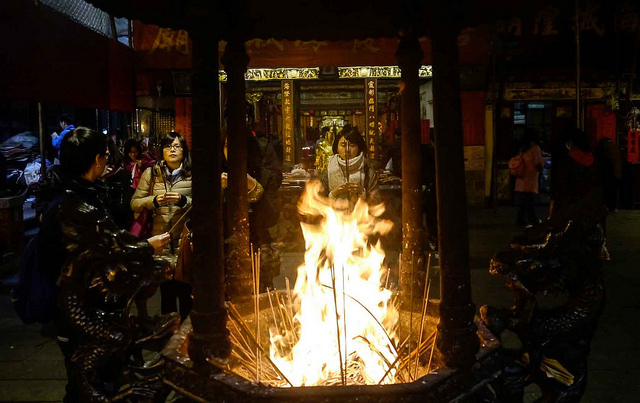 Built in 1856 with a deity statue from Fujian Province, the City God Temple is the most popular stop along Dihua Street. 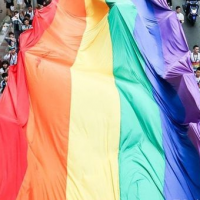 While the temple was supposed to protect all those who lived within Dadaocheng, it has become known as the temple for matchmaking and love—visitors hoping to find love or just maintain a happy marriage pray at this Taoist temple. Couples who have recently gotten engaged or married will also leave offerings of cookies. 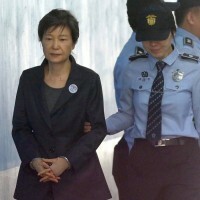 The temple holds its “City God Birthday Parade” on May 13. For more information about Xia-Hai City God Temple, visit the official website. Opened on December 10, 2016, at No. 256 Dihua St. with assistance from the Taipei Women's Rescue Foundation (TWRF), the AMA Museum is dedicated to the women forced to be “comfort women” for the Japanese military in World War II. The displays include historical documents and personal stories of the women. The museum is free and there is a café at the entrance. It is open Tuesday through Sunday from 10 a.m. to 5 p.m. at No. 256 Dihua St. 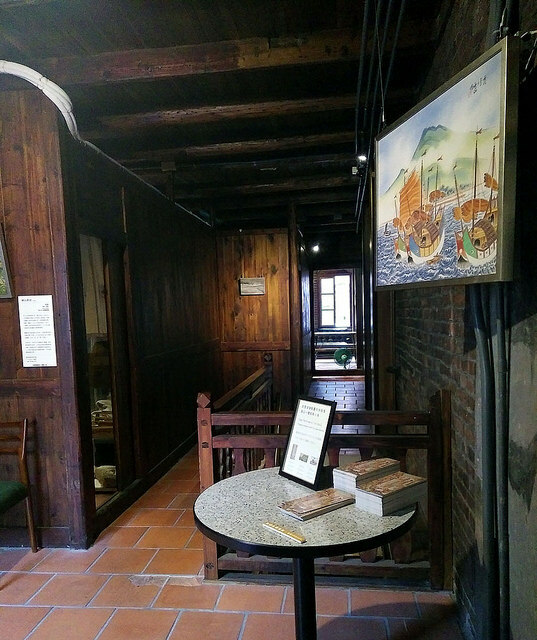 While not on Dihua St., the Taiyuan Asian Puppet Theatre Museum (also called Lin Liu-Hsin Puppet Theatre Museum) at No. 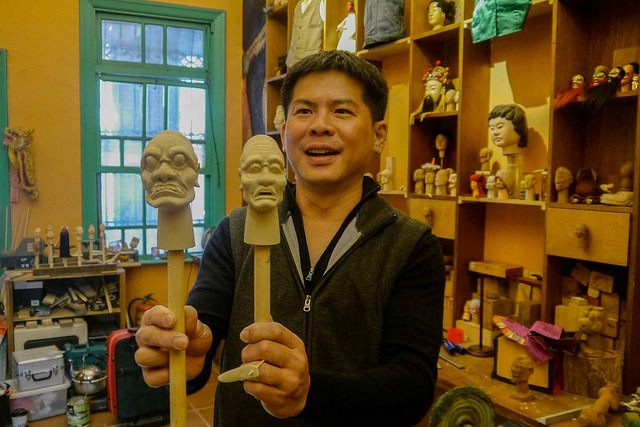 79-1, Xining North Rd., is home to traditional puppet crafts. It houses a puppet workshop and four floors of exhibits. It also has a collection of more than 6,000 puppets and related items from Taiwan and other countries. Next to the museum is the 100-seat Nadou Theatre, where visitors can watch regular traditional and modern puppet shows as well as music, dance and other performances. The entrance fee is NT$80 (NT$50 for children), but the museum will be closed in February for renovations. For more information about exhibits, visit the museum website. 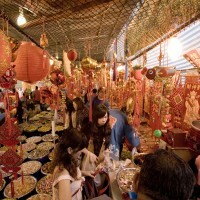 Dihua Street is full of traditional craft shops as well as more contemporary ones. 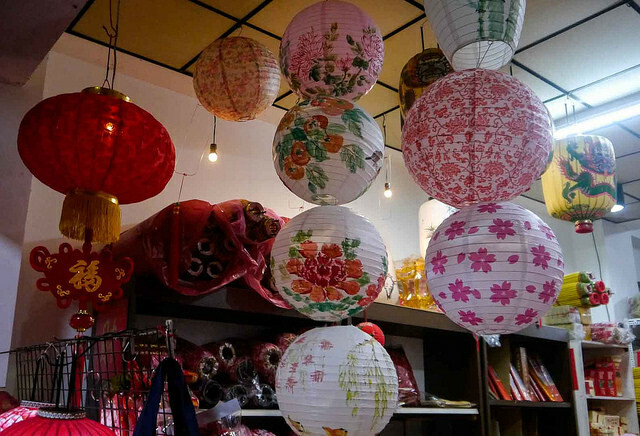 There are some bamboo kitchenware shops and even a handmade lantern maker (at No. 298) that has been on the street for over 100 years. Most of these shops are located on the northern blocks of the street. 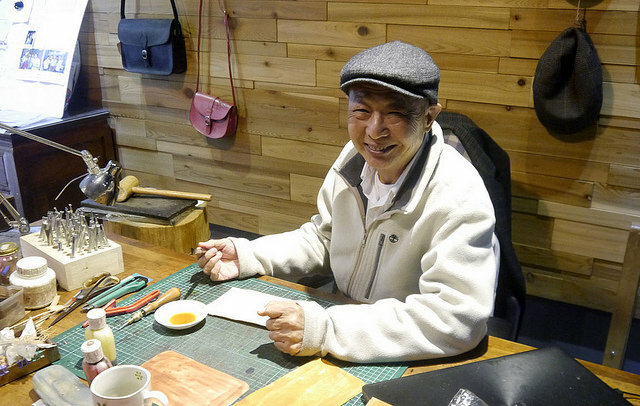 However, there are a few in the alleys on the southern end, such as Mr. Huang’s leathercraft shop (塔可手工皮雕) (No. 22, Lane 14, Dihua St.), Little Garden (小花園) which sells handmade and embroidered shoes (No. 2, Lane 32, Dihua St.) and a tailor shop that produced costumes for Martin Scorsese’s film "Silence." 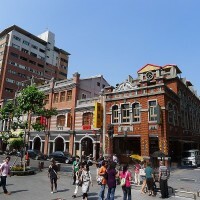 Other shops include Lau Guei Fang (老桂坊), which sells products with designs from the early 20th century. The shop owner’s grandfather designed matchboxes, the designs for which are on display and for sale. She hosts talks about her grandfather and the history of Dihua Street every Saturday (except during holidays). 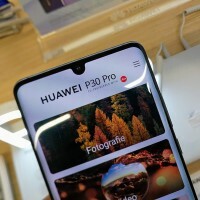 The shop is located at No. 12, Lane 46, Dihua St. and is open until 6 pm. 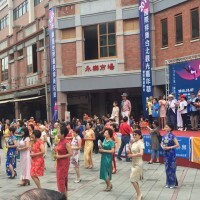 On the eighth and ninth floors of Yongle Market is Dadaocheng Theatre, which hosts primarily traditional and modern Taiwanese opera performances throughout the year. 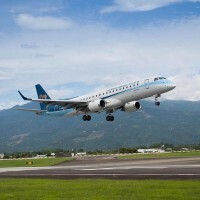 It also hosts cultural and art workshops. Check Dadaocheng Theatre’s Facebook page for upcoming performances. Rice & Shine, as well as a few other businesses with the URS designation, allows visitors to walk through the rehabilitated original architecture. These businesses don’t necessarily advertise that visitors are welcome to walk upstairs; most have a small sign near the stairs inviting visitors to do so. Even if there isn’t much on the upper floors, visitors can still enjoy another perspective from the windows overlooking Dihua Street. Some of the buildings are more interesting than others, which makes Rice & Shine one of the better picks to explore as it has three floors to wander through. Rice & Shine is located at No. 329 Dihua St.
At the far north end of Dihua Street is the façade of a historic building adjacent to a modern apartment building. On the second floor of the original structure is Bloom, which hosts local art exhibitions. There is also a tea and coffee shop. On the ground floor of the apartment complex are additional shops and restaurants. 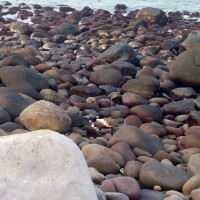 Check Bloom’s website for exhibition information. 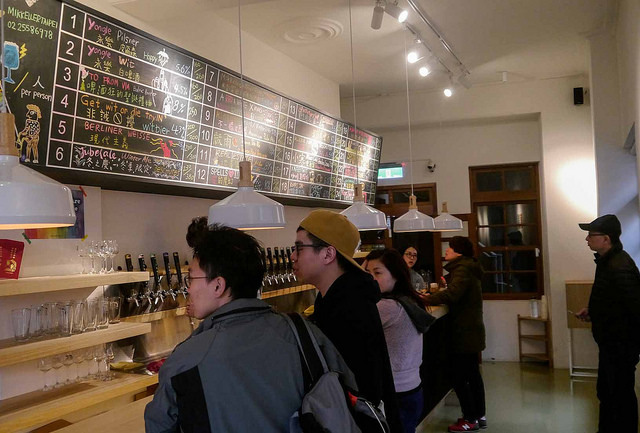 Opened in July 2016, Mikkeller Taipei is the outlet for the Danish brewery. The bar offers two to three Yongle beers on tap that are only available at this location as well as other beers that change regularly. As an added bonus, for those searching for an exquisite cup of coffee, head two blocks down Nanjing West Road to SanCoffee Boutique Coffee Shop (森高砂咖啡館). 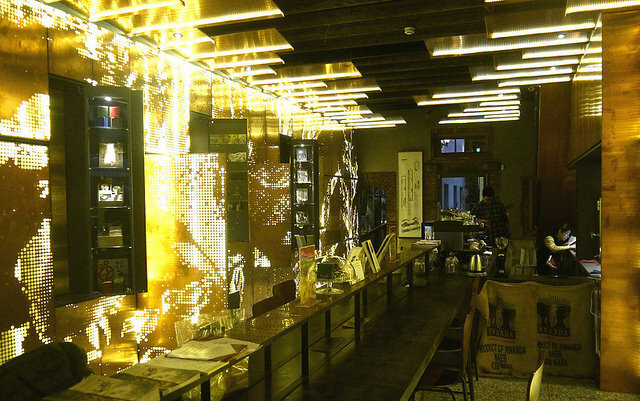 This upscale café only serves Taiwan-grown coffee. 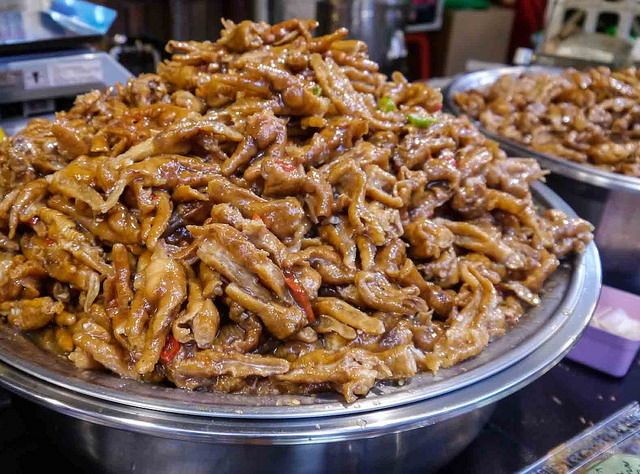 For those visiting Dihua Street later in the day, Ningxia Night Market is about a 10-minute walk toward Zhongshan Station and it is less crowded than more popular night markets like Shilin and Raohe. Beimen Station (Green Line), exit 3. Walk north across Civic Blvd. along Tacheng St.
Daqiaotou Station (Orange Line), exit 1. Cross Minquan West Rd. and west four blocks to the north end of Dihua St.